Reliance Group Coach Bus Rentals: We Got Your Back! Do you have a corporate event, family reunion, or another large gathering you just physically can’t fit into a carpool situation? Don’t fret! We’ve got your back. Our luxurious Coach Bus rental fleet has options that can accommodate up to 56 people per bus. Have 100, 200, or more? You can always rent more based on availability. Trust us when we say “we won’t stop you.” Let the good times roll. Have a special event coming up and you wish to travel in style? We have a large selection of party buses and other luxury buses for you to choose from. Apart from the modern vehicles in our fleets, we are offering a one of a kind antique coach bus for your special occasion. If you are looking for a special vehicle for an upcoming event, look no further than a Coach Bus rental in NYC for your any special occasion. Coach buses will add a unique and special twist to your celebrations. If you require a large number of people to be transported to the same place at the same time, hiring a New York charter bus is an incredible treat, and can make your event that much more special. Make your big day a memorable one by hiring a coach bus for you and your guests to get to and from the venue. You can have your bus decorated with ribbons to match your color scheme. This can be a really great way to transport your guests from one venue to another. Make a thoughtful entrance at your prom night with your date or group of friends. You can get some nice pictures taken with your friends in your awesome looking ride. Make your event memorable and special with the royal feeling that only a great ride can give you. Do you have a corporate promotional event scheduled? Do not miss an opportunity to utilize a coach bus and create a strong impression. Coach bus rentals for corporate events create a great feel for your event, and will attract people to attend. The Reliance NY group has a growing fleet of beautifully assorted and maintained coach buses available for hire for any special occasion. We have one of the most extensive and modern fleets of coach buses in New York area. We offer amazingly luxurious rides for any type of the special event. We have an experienced and helpful staff that will help transport you to your event in style. Contact us to check availability for your preferred dates. Book you elite transportation experience with the Reliance group. The best thing to do is contact us to check availability and discuss your specific requirements. We look forward to serving all of your transportation needs. Madison Square Garden, Yankee Stadium (New York Yankees), MetLife Stadium (New York Giants and New York Jets), Citi Field (New York Mets). You can rest assured that your Reliance Group Coach Bus rental will take you to any and all NFL, MLB, NBA, NHL sporting events, concerts, and more within the NYC/Tri-State Area! Most of our charter buses have Direct TV installed to give you a quality High Definition live televised experience of the event and other desired broadcasts. Rest assured, you’ll probably be up for a party before a game or on the way to the sporting arena. Feel free to ask us for more information or book a coach bus now with your team of associates and friends for the next big game. Unlike public tour buses with designated pickup spots, you can choose your own route. Make sure everyone has an easy time with custom route through Queens, Brooklyn, Bronx, Manhattan, Long Island or any other location based on your preferences. We make sure our buses are packed with everything you’ll need to have an enjoyable ride. 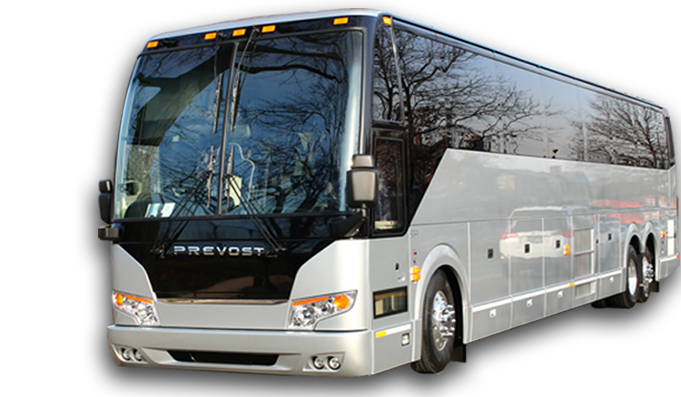 It’s generally ideal to book your Reliance Ground Coach Bus Rental service in NYC under one group rental so you can ensure your group travels together! This will not only save time and money on your end, but will also ensure a fun and entertaining journey for your entire group outing. There's so much to do on the way, and renting your next Coach Bus with the Reliance Group of New York is the ideal option for you. These buses are not just luxurious, they’re also packed with a number of facilities that will really strike your fancy. Wi-Fi, a state of the art Sound System, a Well-Stocked Bar, and so much more!